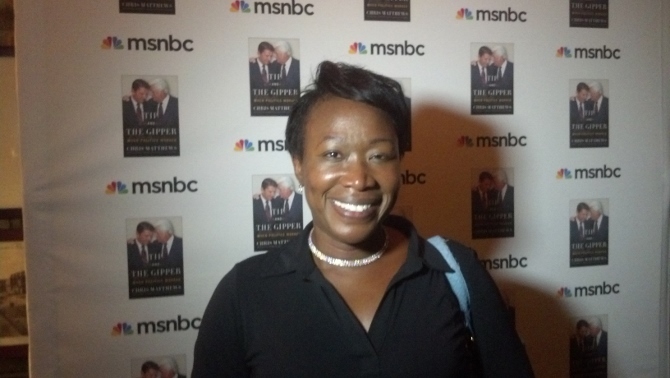 That old saying certainly appears to apply to MSNBC host Joy Reid, who is claiming that past posts she made on a now-defunct blog in 2006 were really put there by a hacker. And while her network is continuing to back her version of events, no matter how implausible they may be, additional evidence continues to mount that could lead NBC bosses to change their minds — under extreme pressure from the LGBTQ mob — in the near future. As noted by Infowars’ Paul Joseph Watson, a Twitter user may have just uncovered a piece of evidence disproving Reid’s claims and indicating that she herself wrote the homophobic slurs. Mind you, Reid has already apologized in December for making past derogatory comments about gays, but new allegations were leveled against her when posts from her personal blog more than a decade ago were found via the Internet archiving site Wayback Machine. But as Watson notes, the posts went far beyond merely lampooning Republican officeholders. Many saw them as hostile to the entire gay community, “an unforgivable sin in leftist circles,” he wrote. Internet Archive’s Chris Butler, however, says there is no indication or evidence her claims are valid. “When we reviewed the archives, we found nothing to indicate tampering or hacking of the Wayback Machine versions. At least some of the examples of allegedly fraudulent posts provided to us had been archived at different dates and by different entities,” said Butler. Reid attempted, through legal means, of stopping the Internet Archive’s efforts to index her former blog site in December but there had already been screenshots made of the offensive posts. If we are to believe her version of events, it would mean believing that hackers broke into her blog site long before it was cataloged by the archival website and others, then made scores of homophobic posts that then went unnoticed for more than a decade. But a Twitter user going by the handle @bourgeoisalien has added more proof that perhaps Reid’s version isn’t the correct one, shall we say. See more celebrities exposed at CelebrityReputation.com. Find more coverage of MSNBC at MSNBC.news.